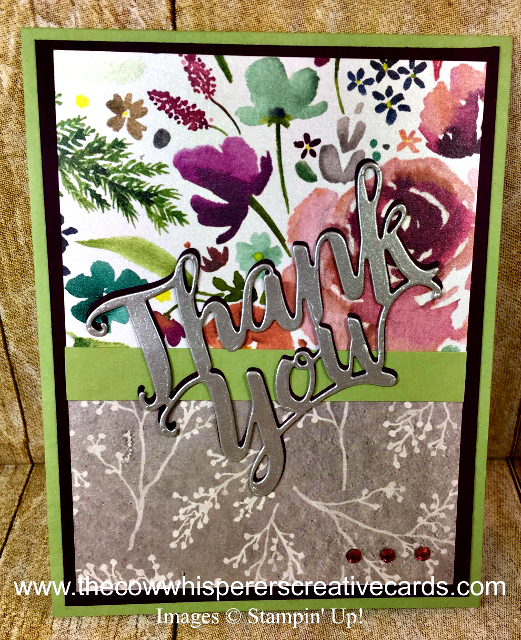 Today's Thank You card is not only Clean & Simple but it's elegant as well. Look closely at the Frosted Floral Designer Series Paper on these cards, as the title states it truly is frosted. The colors are so rich and vibrant and the frost gives a bit of shine as well. 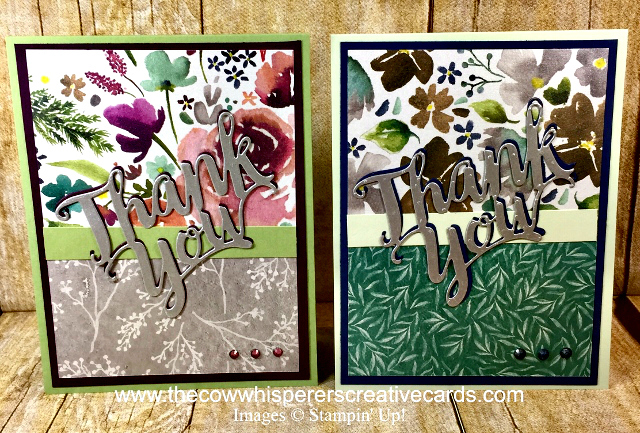 Each card has only 1 piece of the Frosted Florals Designer Series paper used on them, which was cut and both sides displayed as you will see in the quick how to video below. 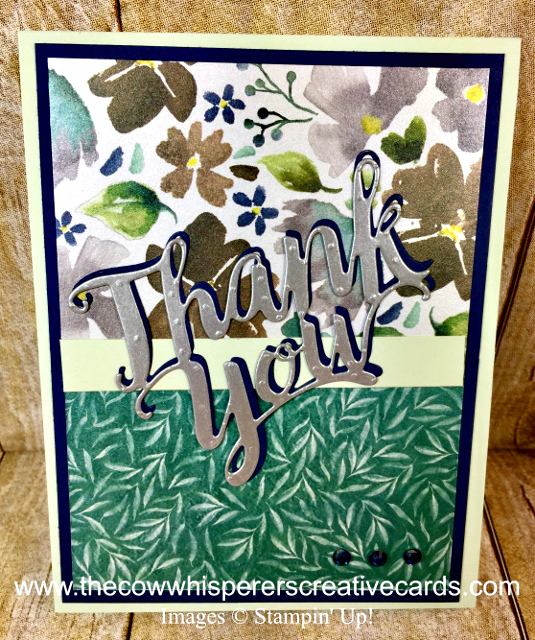 If you need quick and beautiful Thank You cards you'll love the Thank You Thinlit Die I used, and I may say I absolutely adore the script font it is created with. Our Multi Purpose Adhesive Sheets made the creation come together in a flash and the results are truly stunning. Card Base - Soft Sea Foam - 11" x 4 1/4" scored at 5 1/2"
First Layer - Night of Navy - 5 1/4" x 4"
Second Layer - Frosted Floral Designer Series Paper - 5" x 3 3/4"
Strip - Soft Sea Foam - 3 3/4" x 1/2"
Inside - Smoky Slate - 5 1/4" x 4"
Silver Foil and Night of Navy Scrap - 3" x 4"
My November Customer Appreciation is a PDF that was created by my incredibly talented teammate Janet. This PDF includes all the instructions to create 4 Cards, 6 3x3 Note Cards and 6 Tags featuring the adorable Santa's Workshop Suite. All orders of $40.00 or more BEFORE tax and shipping placed on my online store with the Hostess Code 9ZCWDEJQ will be qualified to receive the above PDF. Please remember, you MUST enter the HOSTESS CODE above to receive the PDF :) If your order is over $150 DO NOT enter the hostess code and you will get all the stamping rewards and I will send you the PDF as well.